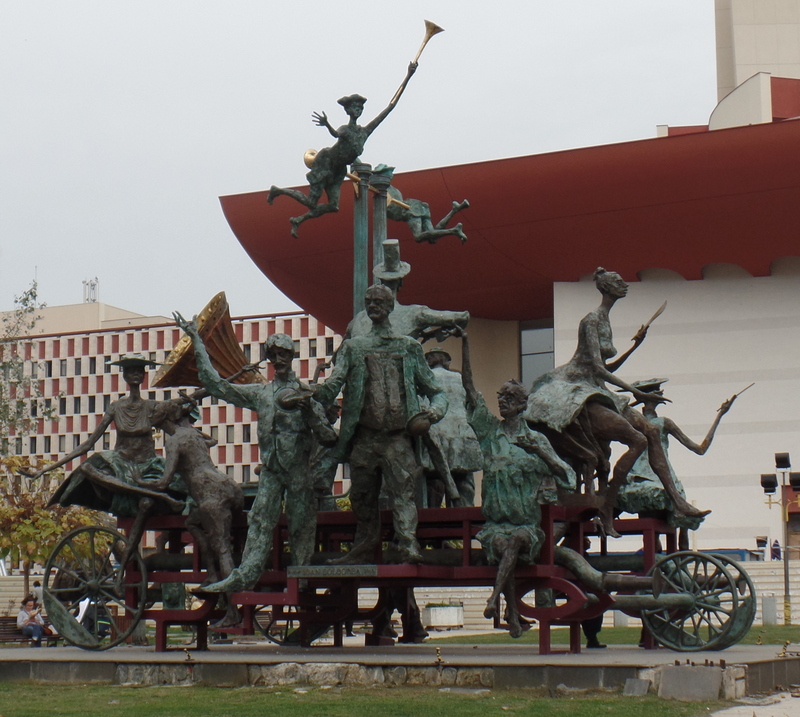 We spotted this incredible statue as we came into Bucharest–no idea what it is…any guesses? 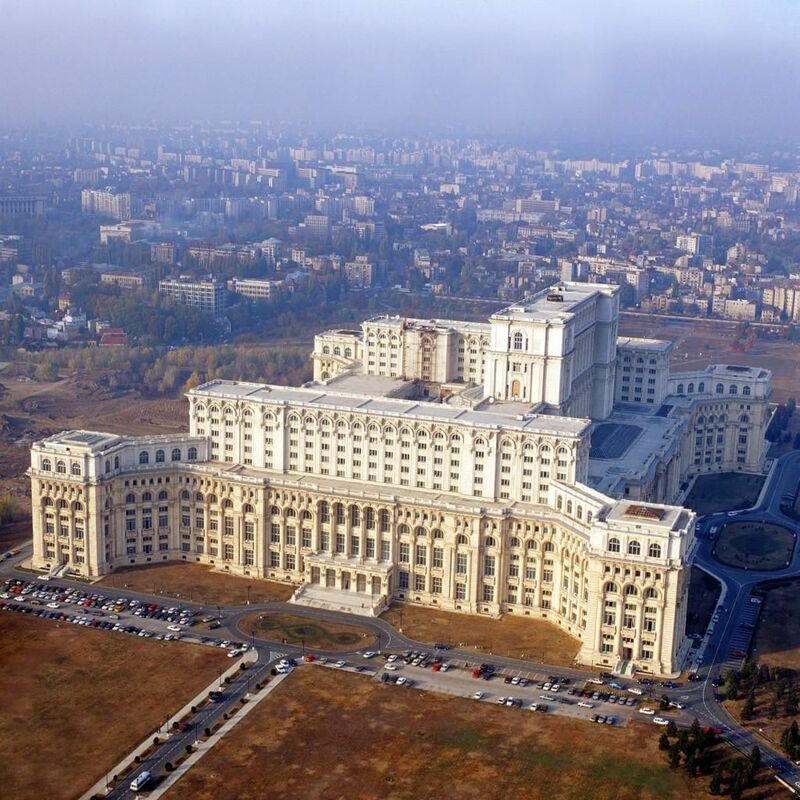 We arrived in Bucharest on Thursday afternoon, and as the bus entered the city I could feel, deep down at my core, that this city was completely, perfectly ‘me’. So much so that by the time we got to the apartment we are renting I had said to Tom several times that I wanted to move here someday. The vibe of this city is awesome. And the the art and architecture are amazing. And the people we have met are fantastic, too. And the restaurants and the shopping and the…I could go on and on. 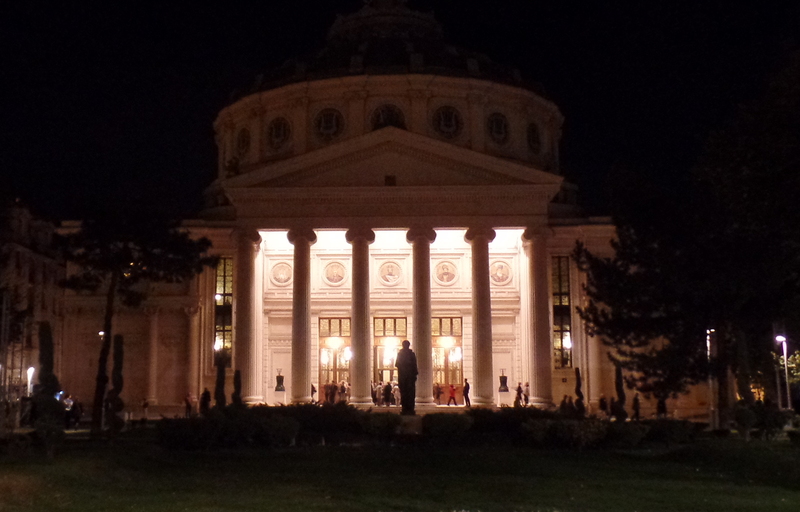 The Athenaeum where we saw the Bucharest Filarmonica. After checking into the apartment, we went and had a lovely dinner at Sharkia, a Middle Eastern restaurant across from our apartment building (see how I am already talking like I live here?). Then we wandered around the area we are staying, which is near the University of Bucharest. 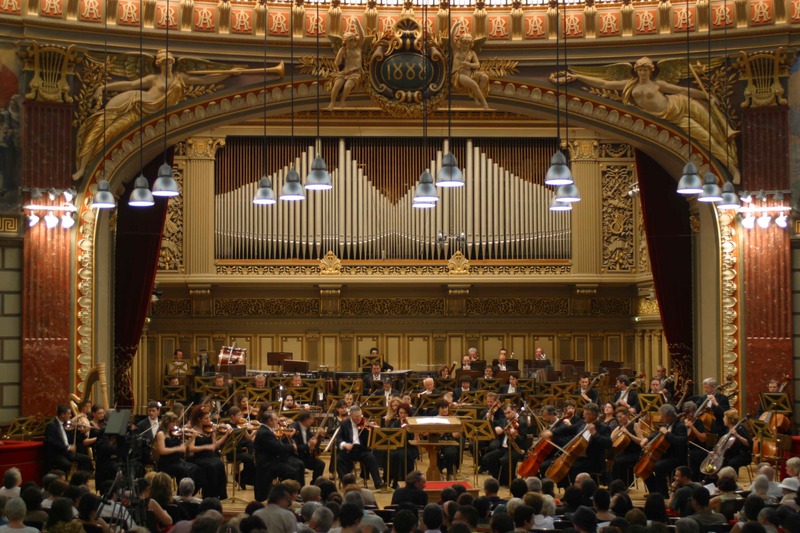 As we took pictures and gawked at all the beautiful buildings and statues around us, we noticed a bunch of people heading into a very ornate building that we discovered was the Athenaeum, where the ‘George Enescu‘ Filarmonica plays. 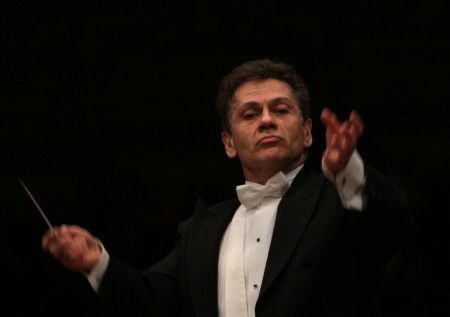 The evening’s performance was for two works by Mozart and Strauss, respectively. “Shall we try to go?” I asked Thomas. “Sure,” he said. So we walked up to the the woman taking tickets to see if there were seats left, and indeed there were! So we bought tickets (tickets were $20 each! Have I mentioned the affordability of Bucharest?) and walked into this incredible theater, built in 1888 and highly decorated with frescos, mosaics, and figures in relief. It was a stunning place to watch a live orchestra. The visiting conductor was Christian Badea, a Romania born man who studied at Julliard and has conducted all over the world. Christian Badea, who conducted with panache. And sometimes spittle when the music got really intense. The two pieces we heard were Mozart’s Symphony nr. 38 and Strauss’ Ein Heldenleben (A Hero’s Life), op 40. I enjoyed both, although parts of the Strauss piece were somewhat overwhelming . In looking up the history of Ein Heldenleben I came across a critical review from when it was debuted in 1899. The critic wrote, “(it) is ugly, cacophonous, blatant and erratic…the most perverse music I ever heard in all my life, is reached in the chapter ‘The Hero’s Battlefield.’ The man who wrote this outrageously hideous noise, no longer deserving of the word music, is either a lunatic, or he is rapidly approaching idiocy”. Harsh, right? While I am not in any way a classical music expert or critic, I thought the 50 minute piece had some merit. I walked away thinking it was a bit like a musical version of a demolition derby, but in a really good way. Museum of History of the Jewish Community. Closed, sadly. But the outside is amazing, right? On Friday we wandered somewhat haphazardly through the city, wanting to find the Great Synagogue (which was sadly closed when we finally found it) and also the Museum of History of the Jewish Community (which was also closed. Why are the Jewish things so often closed?). 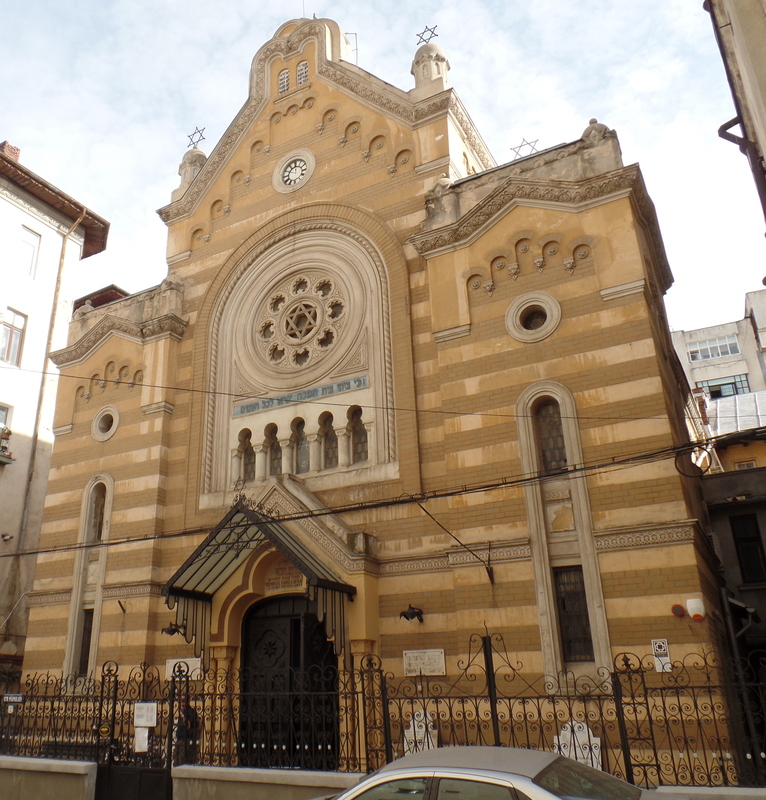 After being 0 for 2 in terms of visiting Jewish sites, we went into several Catholic and Christian churches. Sorry family! But faith is faith is faith, in my mind. The places we visited were all very beautiful and still allowed us moments of reflection as we looked around. To complete our Friday, we went to what ended up being a really amazing tourist attraction called “Chambers” which involved being locked in a room that was set up like an old office from the 1930s and had all sorts of hidden clues that we had to find and figure out in order to escape. The man who ran the place, Julian, was lovely and we had an absolute blast working together to try to figure out where the door key was hidden. And we made it out! Hoorah for us! This morning we are going to the Palace of Parliament, which is the second largest building in the world (the Pentagon being the first). There is at least a day’s worth of things to see in this building, and we are looking forward to exploring it since it’s a somewhat rainy day here. Tomorrow we are renting a car and driving north to a town called Brasov, in the Transylvanian Mountains, and the town where Vlad the Impaler (aka, Dracula) lived. After a few days in the north of Romania we will return to Bucharest for another night and then take an overnight train to Budapest. But I am getting ahead of myself. For now, I want to just enjoy the heck out of fabulous Bucharest.